Last time we spoke about the need to walk two paths when opening a pet grooming business. One path is caring for your pet clients, a topic we discussed at length last time. The other is caring for the pet parents who book the appointment, anxiously drop off their pets and come to pick up their newly coiffed fur-babies. Making the process as easy as possible is in everyone’s best interest. Pet grooming software, such as GroomPro POS, can provide tremendous assistance to you and your clients by making the process simple, easy and informed. 1. People are very protective of their pets. They are nervous and might be more likely to snarl because of the fear of dropping off their fluffiest children. Keep that in mind when you are dealing with someone whose fuse may seem short. Reassure your client that their pet is your top priority. Give them an opportunity to tell you what they need and provide them with the information about what to expect (i.e. that you will call/text when Baby is ready). Let them know that it’s hard to get to the phone while in the middle of grooming so it is better if you call them. I have found that, in many settings, people simply do better if they know what the steps are. 2. People can make some unusual requests. You are the pro here, so set the ground rules. Shaving a Sheltie or dying a poodle green for the holiday are bad ideas. Dogs need their outer coats for protection and, in some cases, to actually cool down. Dogs also lick themselves, so if you agree to dye a customers dog take every measure to make sure that the coloring you use is safe. Always use non-toxic, semi-permanent or wash off dyes products. Be sure to test the pet’s skin for allergies and product reactions by sampling a small area. Stand up for the pup because he cannot. 3. Though most people mean well, some may try to take advantage of your services. Dropping off Princess at 8 am and leaving her until dinner is unfair to the pet and to you. That poor baby should not be left in a busy environment, like a grooming salon for hours beyond her finish time. Whether heading to work, running errands or spending time with a lunch date are poor excuses for picking up one’s pet tardy. We suggest providing a text or call when Princess is ready and setting the expectation that they collect him/her within 30 minutes. If this doesn’t work charge daycare fees to keep fluffy longer. Establishing these parameters at drop off time will likely avoid a lot of headaches. 4. Difficult situations can usually be identified within a 2-3 minutes of a dog’s arrival. If you see a dog has horrible matting, explain that this is a time when shaving is necessary. If a dog enters the grooming business and is clearly terrified, ask the owner if they are able to leave their dog a bit longer. Grooming this terrified fluffy in slow stages, with breaks in a crate in between, will result in a better experience and a better finished look. 5. Much like dogs, people have a greater tendency to react poor if they do not know what to expect. Make sure you express to the people in words and the dogs in actions that you will keep everyone safe, that you are a professional (be proud of that experience) and that you are as excited to have them with you as they are for a great experience and end result. 6. 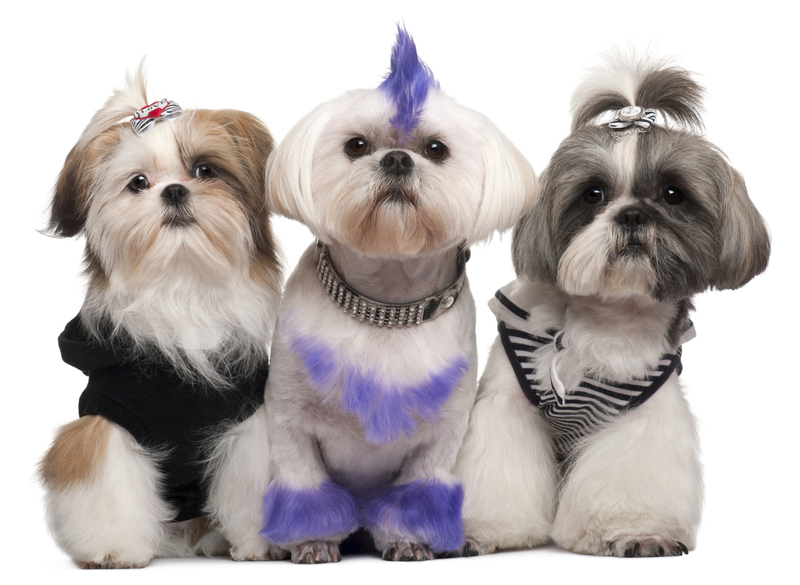 With a strong pet grooming software, some situations can be handled easily before the appointment date/time. GroomPro POS can give you a reminder that Fluffy is due and an updated vaccination record has yet to be filed. The software’s alert gives you plenty of time to reach out to the pet parent and get the updated information. They may even be grateful when they realize Fluffy is overdue for a check-up. 7. Spending a few minutes each day updating client files about client preferences (i.e. type of clip preferred), issues that arose [that you want to be aware of for next time] and more will equip you with the information you need to provide a seamless experience for each and every client. That old-school phrase “What you put in is what you get out” rings true here. In fact, if you make a little investment of time, you get even more out than you put in. Remember, it’s all about happy customers. A happy customer is a returning and referring customer. Keep them wanting more and you can plan for ongoing success. Call us (855) 811 7550 or request GroomPro POS’ demo today.